Ph.D. student Meredith Diskin prepares to deploy tethers. 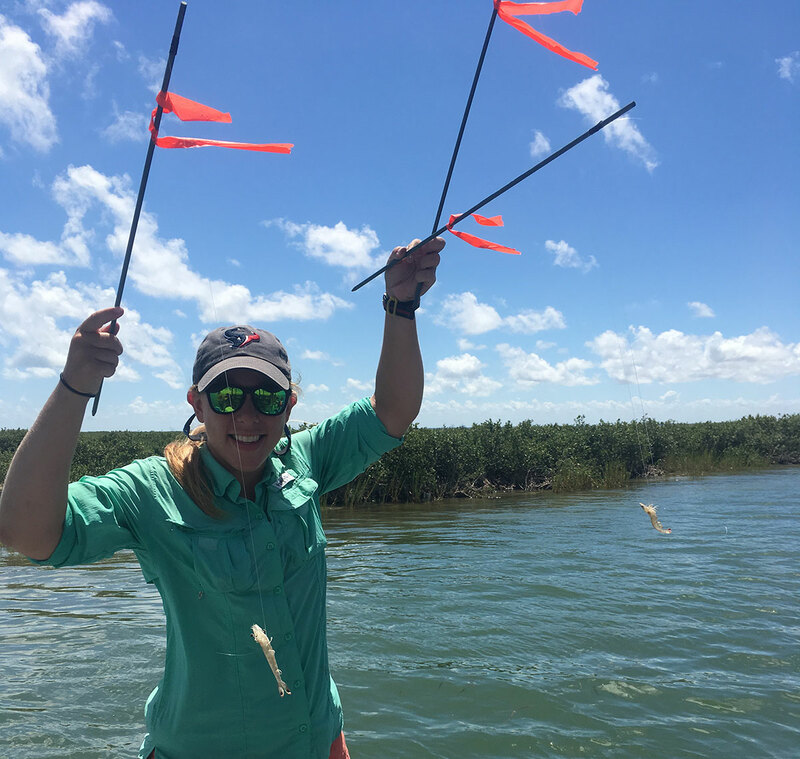 The Link Foundation awarded DISL Ph.D. student Meredith Diskin a fellowship to conduct research at the Smithsonian Marine Station at Fort Pierce, Florida. Diskin is one of three chosen to participate in the 12-week fellowship this upcoming summer. "I'm excited for this opportunity to work with the Smithsonian research team and to network," Diskin said. The time at the Smithsonian Marine Station will allow Diskin to expand her research of predator/prey interactions and how they differ in novel ecosystems, such as salt marshes and mangroves. "Mangroves are pushing salt marshes to the limit of where they can go," Diskin explained. "With this change in habitat, I'm interested in how predators are foraging in the area." Mangroves are trees or shrubs that grow in coastal swamps. These typically have tangled roots compared to the tall grasses of the salt marsh. In her studies, Diskin uses the tethering method. Last summer, Diskin deployed tethered squid pops which were invented by the Smithsonian. She's also live tethered crab and shrimp. Diskin adds that mangroves are more established in Florida, which will allow her to compare predation differences between established and newly settled mangroves and salt marsh.